Name Dice is a tool for writers to create interesting fictional character names. There are hundreds of male and female first and last names, resulting in nearly one million name combinations. Fiction writers, children, storytellers, spies, imposters, celebrities, and anyone who likes free apps! But wait, I need a female name and I rolled a male name! Roll again! All of the names are mixed together. You are guaranteed a first name and a last name on each roll. Gender? Well, is Chris a man or a woman? You decide the gender! Really. Totally free. This is our gift to you! Enjoy it! Does it do anything besides generate random names? Nope. It does one thing, and does it well. Hey, it’s free! Name Dice for Apple iPhone, iPad, and iPod Touch – available for free from the App Store. 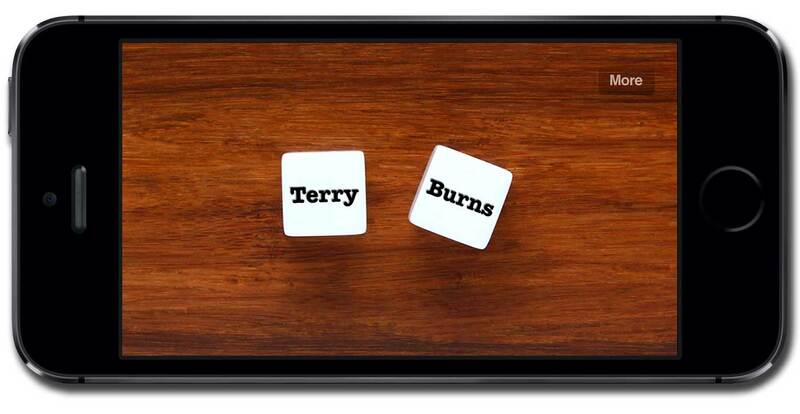 Name Dice for Kindle Fire and other Android devices – available for free on the Amazon Appstore for Android. Name Dice for Android devices – available for free from Google Play. Name Dice for NOOK – available for 99 cents from the NOOK Store. Name Dice for Windows Phone 7 and 8 – available for free from the Windows Phone Store. Name Dice for BlackBerry Z10, Q10, and PlayBook – available for free from BlackBerry World.